Ching Hsing Iron Works Co., Ltd., founded in 1973, is engaged in the design and R&D of a wide array of film and sheet extruding machines. 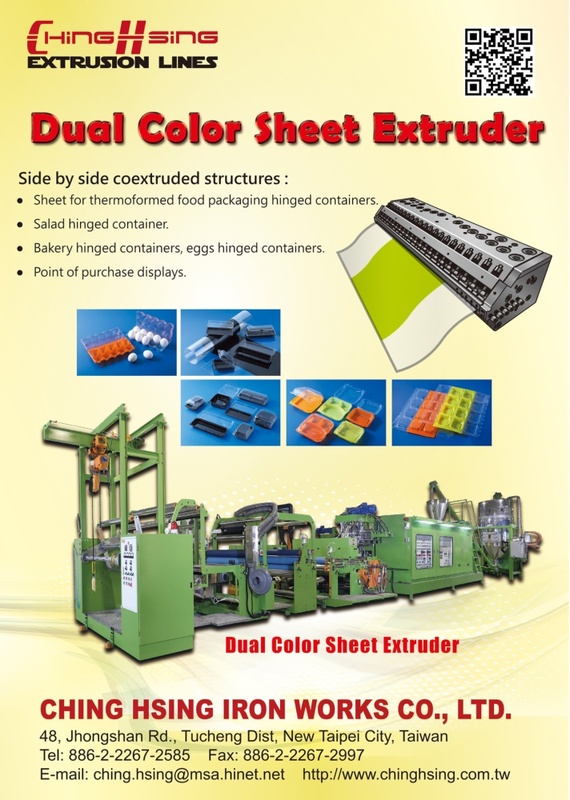 With over three decades’ continuous devotion to improving precision production technology, we are capable of providing customers with superlative extruding machines featuring comprehensive stability and durability, and have won their high approval and trust. In recent years, packaging materials for food, industrial items and medicines, such as PET, PLA, and TPU, have replaced PVC, which contains toxic elements proven to endanger our living environment and human lives. To produce extruding machine models meeting the latest needs, we’ve spent a lot of time and energy on R&D, and have come up with spectacular results. We moved to our new plant at the beginning of 2005, and are continuing to produce superior extruding machines. In the years ahead, we will develop much more superior models for our customers, creating mutually beneficial business opportunities and profits.